Our Enchanted Woodland Walk to Rushmere! Just some of our exciting learning this term: floating and sinking in Max's boat, symmetry blob creatures, pine cone experiment to watch them open and close, subtraction splat, pine cone creatures and their adventures around school, woodlice habitats, story stones, understanding coin value with nunicon and speech bubble writing! 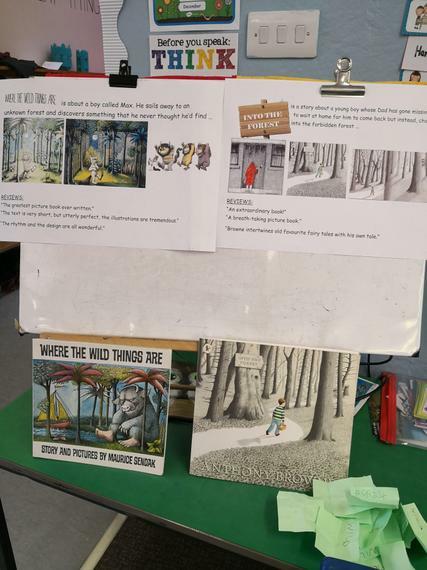 We had our own 'Wild Rumpus' from Where the Wild Things Are! We made our own music, forest crowns and danced! "We're going on an owl hunt, we're going to fly a big one, we're not scared!" 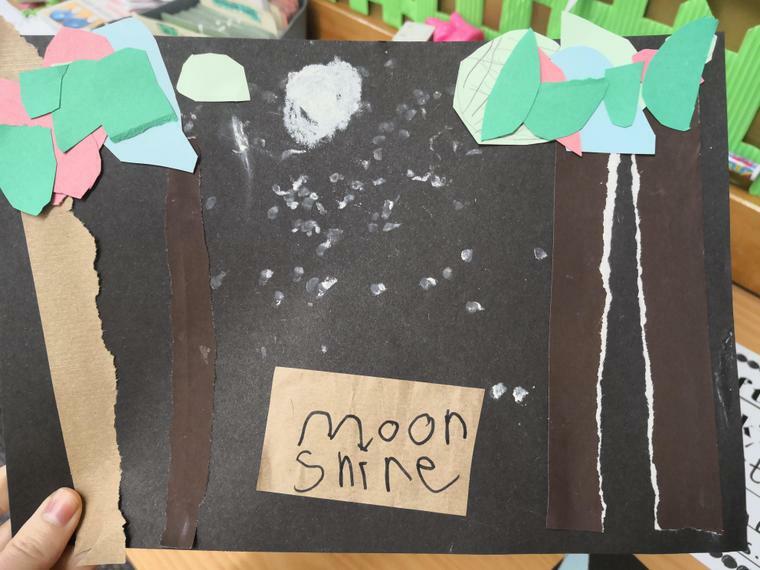 As we're half way through our first half term, I've just found some time to upload some photos of our goings on so far this term! Our owl babies on their branches! "I want my mummy!!" The owl babies came to visit us! 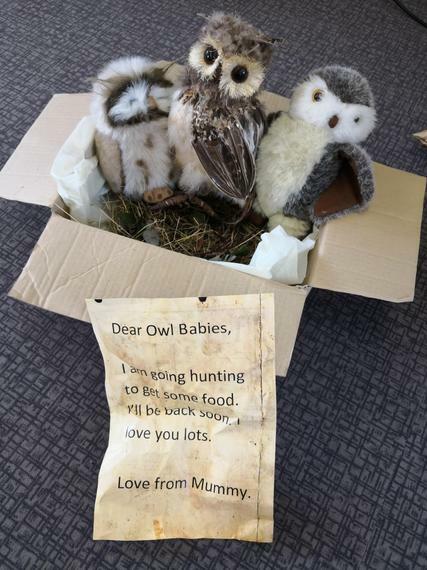 The owl mummy had left them a note which meant that they were no longer worrying about where she was! 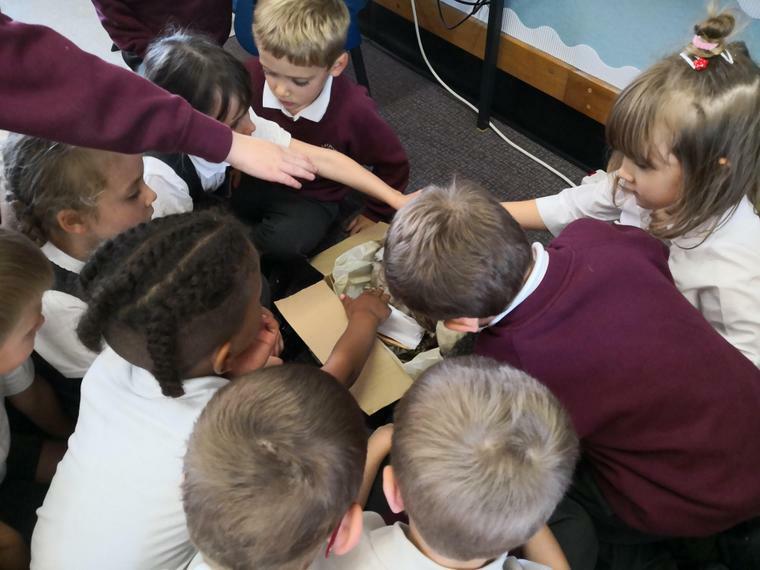 We decided to then write our own notes from the perspective of the owl mummy. 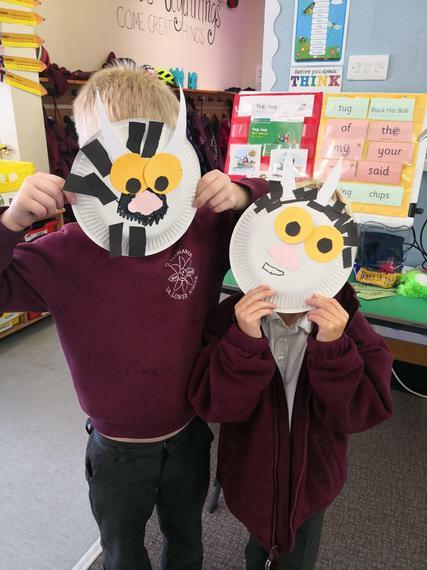 We made our own wild things and wrote speech bubbles for them ... "Don't go, we'll eat you up!" 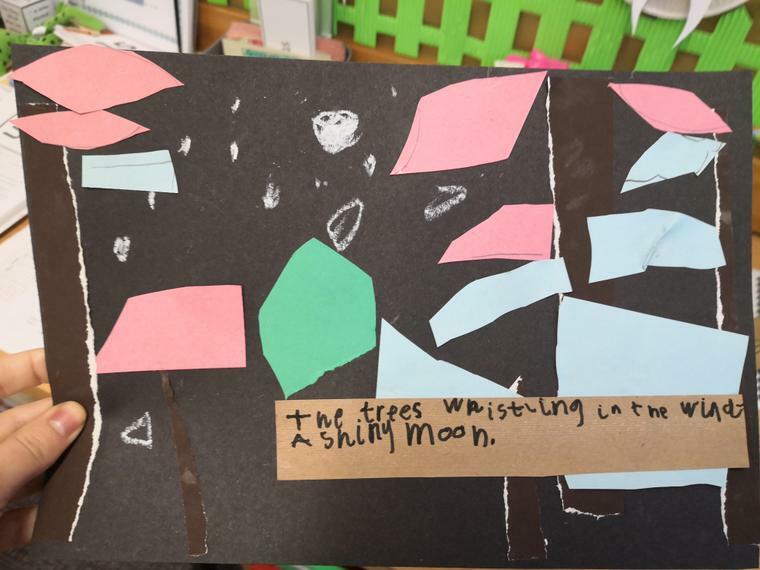 We collaged the forest where the wild things live and wrote some descriptive writing after talking about what it would be like there! Welcome to our first topic this year! Foxes and badgers, squirrels and mice, beady-barn owls in the swaying tree tops. Beneath the leaves there's something exciting to see; tiny footprints, whose could they be? Fairy or Gruffalo or Winnie the Pooh? Maybe they're Stick Man's or Tin Man's too? This topic is a wonderful opportunity to explore the seasons during the most colourful of them all, Autumn! During this term we will be visiting Rushmere Country Park for a ramble to see what magic we can find ... We will also be visiting the Birds of Prey Centre to hold an owl! In Science we will be asking big questions such as: do pine cones know that it's raining? 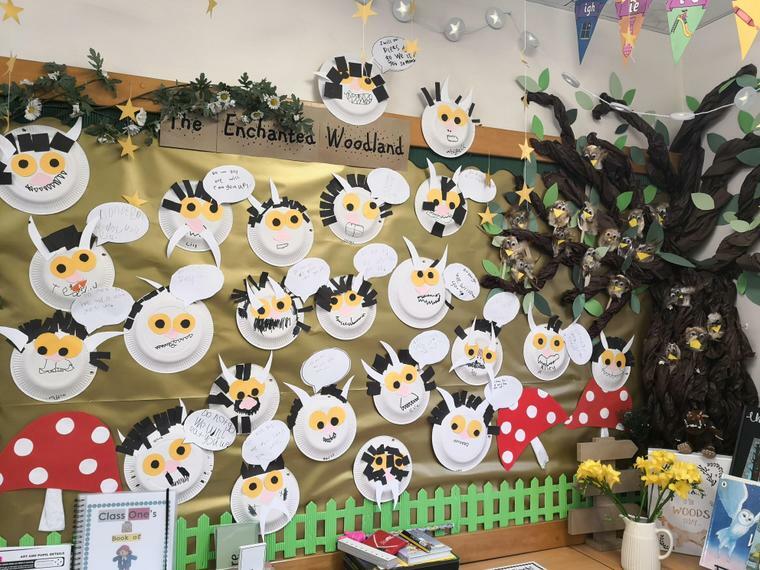 We will also be learning all about different woodland habitats and animals. In Literacy we will be reading a wide range of stimulating texts such as: The Owl Babies, Stick Man, The Faraway Tree and This Moose Belongs to Me. From these we will be producing some exciting pieces of writing such as letters, diaries, instructions and recounts. 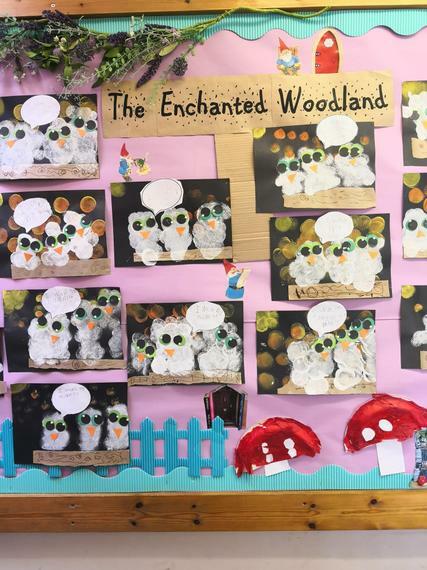 There will be lots of opportunities for working across the curriculum in Geography, History, D&T, Music, ICT and Art as we delve deeper and deeper into The Enchanted Woodland! Below you can find a picture of our first creative project this year! 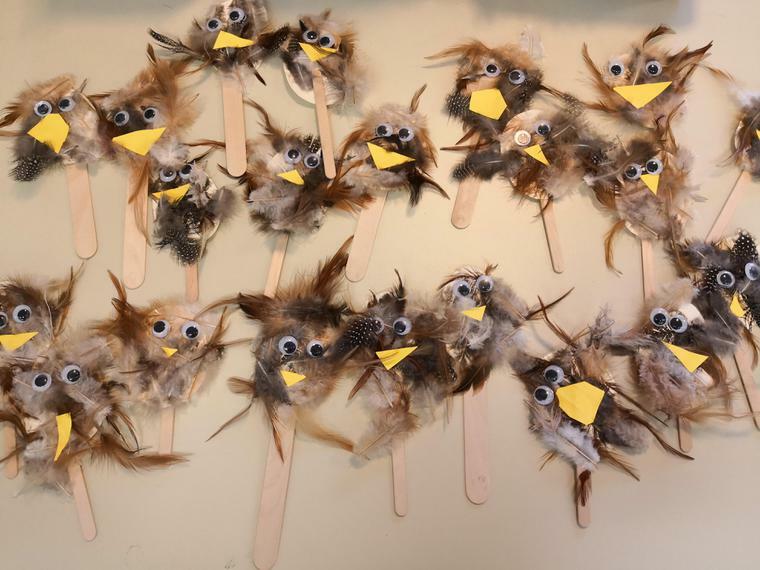 Our Owl Baby puppets which we have been using to support some speaking and listening activities in drama.